Although methods of training may differ greatly, like specific tools in a box, our core methodology has remained constant, simple and easy to understand. We treat dogs fairly with clear distinction between what is and is not acceptable behavior. We never display anger, frustration, or abuse. We show our human patrons the same courtesy and honesty we would expect from any professional service. We believe training should be a fun and inclusive experience for all. In most cases our goal is to set reasonable and obtainable expectations to create good, safe reliable pets. Unless we are trying to correct a behavior that could injure people or animals, we always prefer to make it slow, fun and habit forming. The correct training method is the one that resonates with both owner and dog. Every situation is unique and what we demonstrate in class is the just the beginning of the ongoing education and communication process you are coming to learn. We are experienced in clicker, remote collar, marker and traditional training techniques. But don’t be alarmed if you see something involving a tree stump, a bicycle, three dogs and a chicken. If it works, is safe and fun, we have probably tried it or are ready to give it a go. So you’ve decided to start training! At My Dogs Mind we like to have clients come in for a 25 minute consultation meet-and-greet before we start training. 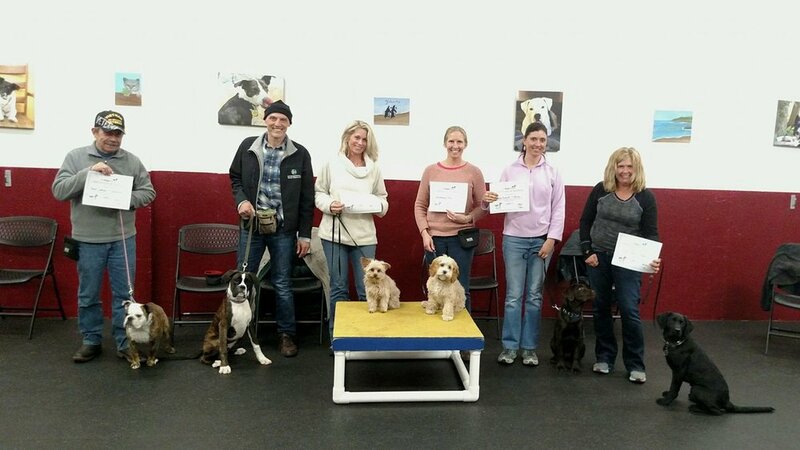 We do this so that your dog will be set up for success and be placed in the best class for their needs. -During this consultation there will be some training involved and maybe even a little homework! -We ask that you bring your dog in on a standard four to six foot non retractable leash and bring them hungry with their favorite treats! -To schedule a consultation please visit our online booking page. You can schedule a first time consultation with one of our experienced trainers!